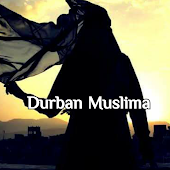 Durban Muslima: MIRACLES OF THE QURAAN. "Praise be to Allah, the Lord of the worlds." This is the first verse of the opening chapter of the Holy Quran. 1400 years ago, the human mind was incapable of any sound thinking about the earth, the solar system or the galaxies. Yet the Quran is testifying to the presence of 'worlds' beyond the earth. The words 'Lord of the worlds' appear 73 times in the Quran. Today, mankind knows for a fact there are other planets besides earth. 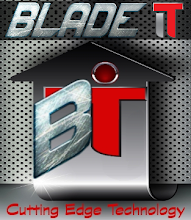 This is known through invention of telescopes and other scientific developments. But the Almighty revealed this knowledge to Muhammad ( صلي الله عليه وسلم ) long before man invented the telescope and other similar inventions. THE UNIVERSE WAS ONE ENTITY. "Have they not who disbelieve seen that the heavens and earth were joined together (as one piece), and then We parted them." This Quranic verse has explained a mystery that was unknown to the greatest physicists and astronauts for centuries. The verse reveals that the heavens and earth at the beginning were joined together, and then they were separated. Recent advancements in astronomy especially the Big Bang theory of the creation of the universe support this Quranic statement. The Big Bang theory says that about 20,000,000,000 years ago (...that's quite a bit...) the universe began with an explosive expansion of a single extremely condensed state of matter. The Nobel Prize for science in 1977 was awarded for this discovery, whereas the Holy Quran solved this mystery centuries ago. "It is We Who send the fertilizing winds, then We send down water from the sky, and then We give it to you to drink, you are not the one who would store of this wealth." Wind is one of the most effective means of spreading pollens, thereby causing fertilization in plants. This again is one of the recent discoveries in botany. Allah ( سبحانه وتعالى ), however, revealed this information in His book long before the modern-day botanists could discover it. "He created the heaven without any pillars that you can see.We sent down rain from the sky, and produced on the earth every kind of noble species in pairs." "(The unbelievers' state) is like a vast deep ocean, overwhelmed with waves, one over the other, and above it is a cloud of darkness upon darkness, one above another; if a man stretches out his hand, he can hardly see it." One should note that the verse describes the state of Deep Ocean as consisting of great waves topped by other great waves one above the other. Mankind saw this phenomenon after the invention of the submarine. The first nuclear submarine became a reality in 1954 and the mystery of the deep seawaves were observed for the first time. Who besides Allah has given this deep-sea information to Muhammad ( صلي الله عليه وسلم )?